Welcome RiffTraxians and MSTies, Once Again! Get Mystery Science Storybook on the Kindle here! Get Night of the Living Storybook on Kindle here! Hardcover and paperback special editions can be ordered below! Welcome, once again, viewers of RiffTrax Live! Tonight is a very special night for all of us as we took part in RiffTrax Live: MST3K Reunion, something we have all been wanting for a very, very long time. If you missed the show tonight, you can still catch the encore broadcast on July 12! And, as usual, if you are here tonight, you are most likely coming to us from the Digital Downloads page! I'd like to thank everybody at RiffTrax once again for allowing me to participate, it is a thrill and an honor to be able to do so. 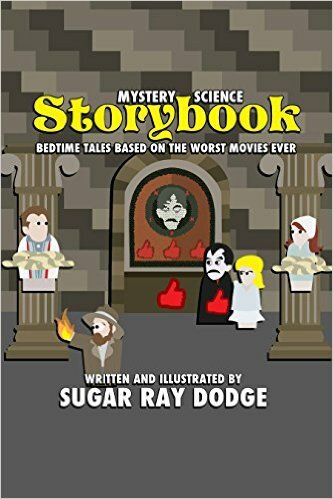 For those of you who have visited here after past live shows and have pre-ordered physical copies of Mystery Science Storybook: Bedtime Tales Based on the Worst Movies Ever, GOOD NEWS! All Kickstarter and Pre-Order books HAVE BEEN SHIPPED! They will be arriving at your homes this week if you haven't already received them. For those of you new to my work, I have a little graphic novel series based on movies from both MST3K and RiffTrax. 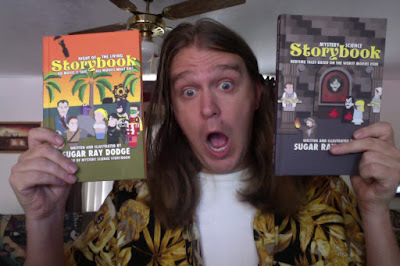 So far, two books have been finished and published, the first volume is the aforementioned Mystery Science Storybook, and the second volume being Night of the Living Storybook. They are both available digitally through Amazon.com (follow the links,) but if you're among those who like to have physical copies of things, you can get in on the 2016 Special Edition printing of both books by ordering them below! All books in this printing will ship before August 2016! But hurry, in order to keep these special editions special, they won't be available forever! GET IN ON THE ACTION BELOW! And what does the future hold for the Storybook series? Right now I am gearing up for Volume 3, Who's Afraid of the Big Bad Storybook? I will be making announcements about that volume in the next little while, so stay tuned if you'd like to be a part of it. In the meantime, you should totally check out our friends at INCOGNITO CINEMA WARRIORS XP! 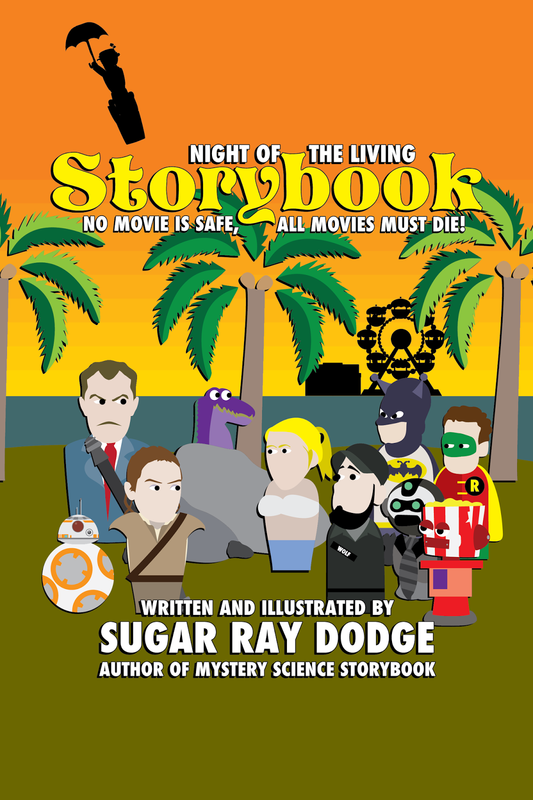 They're a great MST3K tribute show, who also grace the cover of Night of the Living Storybook. They are awesome at what they do and they deserve to keep going, so give them a chance, why not?! Again, thanks a ton to RiffTrax for letting me be a part of the fun and to all of you who have been so supportive of this project. I can't do it without you, and thanks again!